November 30, 2011 November 30, 2011 Dan O.
I guess Marty got tired of making films about people getting murdered so he decided to get in touch with his inner-child. No, not I’m not talking about Leo. When his father dies, 12-year-old orphan Hugo (Asa Butterfield) takes up residence behind the walls of a Parisian train station. There, he meets Isabelle (Chloe Moretz), the daughter of filmmaker Georges Méliès, who holds the key to Hugo’s destiny. Knowing that this is Martin Scorsese‘s first family-film and the trailer was kind of cheesy considering it had that really bad song by 30 Seconds to Mars in it, my expectations were pretty low despite all of the non-stop positive reviews. However, I’m glad to say I was duped once again. What Scorsese does perfectly here is bring out the most exuberant flair as a visual arts director then in anything else we have ever seen him in. I don’t normally see films in 3-D because I think they’re are a waste of money and 9 times out of 10, the 2-D versions end up being the same thing as the 3-D one. However, I went into this one with the glasses and everything, and I have to say that almost every single shot here is perfectly made with lush and gorgeous visuals that will take you inside of this colorful little place where it seems like Scorsese had Van Gogh do the film’s art-work himself. I mean this guy makes screws look beautiful. That has almost never been done. Another great element about this flick is how Scorsese is able to basically send a love-letter to all of the silent film era stars who have inspired him to do what he does best, but it doesn’t feel like he’s just kissing these peoples asses the whole time, he actually creates his own story and adds a silent film-look onto it as well. There are some scenes where there is barely any talking at all and it’s all about how the score, sounds, and art-work all look to make sure you aren’t bored one bit. Basically, anybody that is a film-lover, like yours truly, will love all of the homages and shout-outs to all of Scorsese’s homeboys but the film is also something for kids to watch even if they don’t get all of the silent film stuff right off the bat. However, that’s why they invented Google kids. The biggest problem for this flick is that it does take quite a bit of time to get started and that usually doesn’t bother me but the first hour or so, was terribly boring and actually had me zoning in-and-out of the film, which barely ever happens. The first part is your typical little kiddie movie that I’ve seen far way too many times for my own liking where the two kids both talk about being reckless, free, and adventurous but then everything sort of just goes back to normal once they realize their kids. It also a long flick (clocking in at 127 minutes) but then again, coming from Scorsese I wasn’t expecting a 1 hour series premiere. Another major problem I had with this flick was the fact that I think it’s central story, you know the story about the orphaned kid who’s father dies, kind of gets lost by the end. I don’t want to give away too much but there is a big “twist” in the story that gets more attention than the real story at-hand, which is something I was kind of disappointed about because I think they could have made a real emotionally-realistic story about a kid who misses his daddy, but they went with something else. The story they ended up going with was not a problem for me but I still think they could have a done a bit of better job of focusing on the real story they started with. The performances from everybody involved is also great as well. The kiddie performances from Asa Butterfield and Chloe Moretz are good but they have done better in the past, and they kind of get lost by the end of the film. Sacha Baron Cohen plays Gustav the Station Inspector and is a perfect fit for this role because he seems like a silent film star villain where he uses his goofy emotions on his face to express his villainous acts and the terrific dialogue matches well with those emotions too. Ben Kingsley is the real show here to watch as he gives a totally heart-breaking performance that goes way back to his wonder days when he was in talks for Oscar-bait every year. Kingsley had me worried at first because I thought I was going to hate this angry and grumpy old man but somehow he turns that around with a sad and grief-stricken character that brings out the most emotion I felt for the whole entire film. It’s definitely a good performance that I wouldn’t be surprised got him a nomination come Oscar time but it is definitely enough to make me forgive him for BloodRayne. But I understand, a man’s gotta make a living somehow. Consensus: Hugo may not get fully off its grown in the first hour or so, but Martin Scorsese makes this love letter to his favorite films growing up something else that’s stacked with utterly gorgeous, luscious, and amazing visuals that everybody should definitely go and experience in 3-D no matter what. Yeah. Sorcese is the man. I’m seeing this soon. And by that I mean “Scorcsese”. Ahhhhhhh hell with it. Damn this stupid keyboard and my inability to spell Scorsese correctly…. Hahah it’s OK I messed up his name a whole lot too dude. I didn’t really think anything was going to special about this until I saw the reviews, then I was instantly persuaded. Hopefully you like it when it comes around Vik! I didn’t love it like certain others did but I can easily say that it was a very pretty film too look at and I’m sorry if you didn’t like it as much. Thanks though yo! Great review, as you know I loved this. Yeah the kids might not understand everything, but at least they will be visually satisfied and then their parents can explain the silent film stuff. But it’s a film buffs dream movie for sure. It definitely is and the kids may not understand it all but hopefully there are at least a tad interested. Thanks! I guess I see the connection between the first hour and the Kingsley stuff more than most. Sure it seems like it’s going to be one thing and then it turns into something different, but it all stays thematically relevant. Hugo is looking for his place in the world…Kingsley has lost his, together …you get the idea. One informs the other. I say as much in my review. I see what you’re saying but I just think the story got a little lost by the end, but I still liked it a lot. Thanks Bryan! Good observation about the initial focus of the film being about the loss of Hugo’s father getting downgraded by the end of the movie. But like you I still greatly enjoyed this film. Thanks! I liked it but the end didn’t bother me as much even though I still noticed the problem. Wasn’t convinced by the trailer at all but like so many others, these reviews are turning me around quick. Love Sacha Baron Cohen but thought from the trailer, his comedic prowess would be toned down for the kiddy-friendly film. If it’s a love letter to cinema, no wonder all us film lovers are getting all excited about it! Hopefully your review has slightly managed to readjust my expectations after reading so many 5 star reviews! It’s a very good film and I have to say that if you love films, you will be practically wetting your pants over this one. Thanks Pete! This is becoming one of my favorite films of 2011. I enjoyed it so much. I would totally go see another Scorsese family film. Maybe a gangster family movie with de Niro as a mob father trying to save the day with help from his young kids. It could work! Haha hey it could quite possibly just work, I mean it would probably be a hell of a lot better than those crappy “Focker” flicks that De Niro’s always doing. Fantastic. Great to see this living up to expectations. You’re right about the trailer, Dan. It wasn’t in the “Children of Men”/Worst Trailer for a Good Movie class, but it didn’t make me want to run to the theater. The over 90 rating on Rotten Tomatoes did, though, and I’m glad I did. The reviews are what definitely had me wanting to go to see this flick as well and I’m very glad. Thanks man! You’re writing is really really easy to read, and it’s enjoyable, too. I love how the sentence flow and everything. I haven’t seen it yet, but I’m really intrigued after reading this. Thanks for the great job. Great comprehensive review, you really nailed how I felt about the film. Even with its flaws, I hope this film isn’t forgotten and serves as a reminder of how 3D can be used to the advantage of the film. True that Abrahim! I hope more directors see this film and now know what to do with 3-D. Thanks man! First review I’ve seen (other than mine) that really acknowledged the problems the film occasionally has with pacing. Finally feel like I see eye to eye with someone on it. Everyone else has been raving like it was movie perfection. 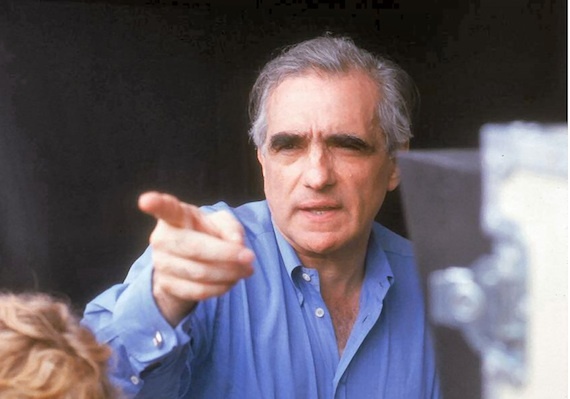 It is good, it is enjoyable, Scorsese is a master… but there’s some issues. It has it’s obvious issues but the film is still great and there’s no doubt about that dude. Thanks my bro! This movie didn’t really work completely for me. As you noted, it is a bit slowly paced and doesn’t really pick up much steam until maybe the last half hour of the movie. It also kind of felt like two distinct stories and the acting by Butterfield and Moretz was a bit off the mark I thought. Scorsese honoring the silent era and love for movies will definitely get to cinephiles but I think as a family film, you can do better. It’s not a perfect film by any means because there are problems no matter what and where you look at however, a lot of that is over-shadowed by many other great elements to this film. Thanks though Castor! Thanks Scott! I hope they like it, it’s a good flick. I’ve been debating whether or not to see this movie for a while–thanks for the review! Normally I am SO opposed to 3D, like yourself, but there are those rare films where the visuals are stunning and make the film worth watching in 3D. I think I might go see this one now! This one uses 3-D perfectly and I’m glad that if it is going to be somebody, then it’s at least Martin Scorsese. Thanks Kristin! Hope you like it! I totally saw this in 3-D by accident because it was the only one available in the narrow window I had to see it, but I think it was meant to be, haha. I enjoyed how it seems to be a tribute for film lovers and movie goers, but I do agree it started pretty slow; however, I want to say probably a lot of it has to do with whether or not you were familiar with the book beforehand (which I think probably would have helped immensely, walking in). What do you think? I think so too but I do have to say that regardless of the book, I still liked this film and thought that it did a lot to keep people interested and entertained. Thanks! I absolutely loved Hugo. Outside of the wonder and majestic premise, Hugo clearly demonstrated the affection that Scorsese has for film history. Truly one of the year’s best films. It is a great one and shows just how much Scorsese really does film and the art that lies behind all of it. Thanks! Really enjoyed this movie. I think you’re right that the some of the best parts are the beautiful shots. The overview of Paris is particularly good. Nice work! This one was a wonderful gift for movie lovers. Highly recommended. Loved the silent film stuff, and I didn’t even mention that in my review. >_< It's been a while. Haha, I need to look at yours more so I can come up with my own way to incorporate some sort of uniformity in my reviews. But good review! “Marty got tired of making films about people getting murdered” — heh, heh…yeah, quite a change of pace, but i’m not sure how much of a “family film” this is? I just can’t imagine a lot of kids with the patience to sit through, let alone care about who Georges Méliès was. Having said that – it’s one of my favourite films of the year. Forgot about my initial feelings about Kingsley. When he handed him the burnt journal, I thought he was the biggest a-hole in cinematic history.